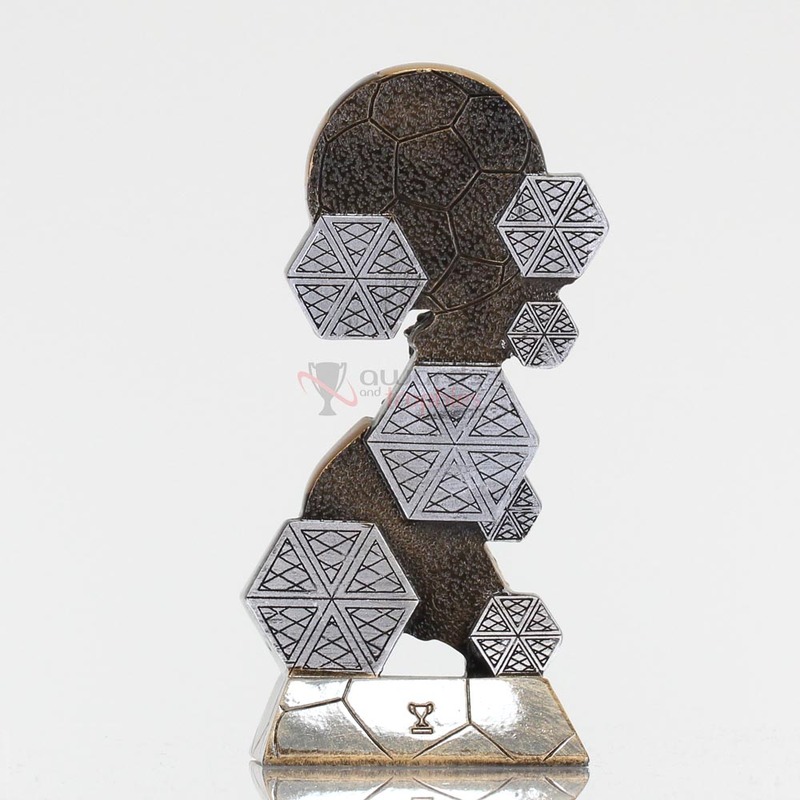 These Unique Series soccer trophies would make a fitting prize for the hardworking players on your squad. 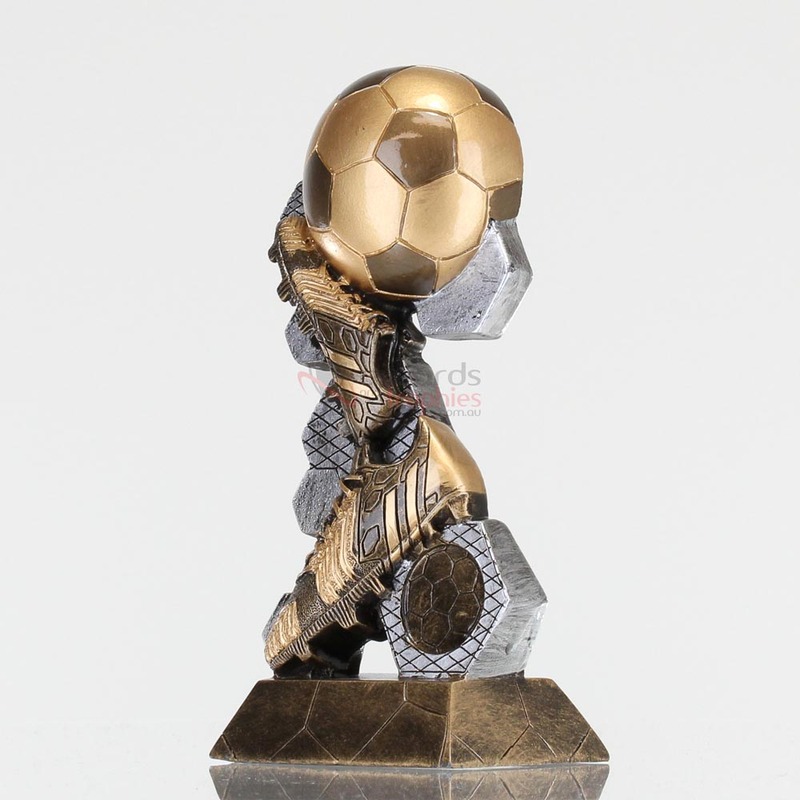 Featuring a gold soccer ball resting on top a pair of boots and geometric column this award is sure to put a smile on the faces of all who deserve it. Why not add your Club Logo in colour? We can personalise this trophy by covering the generic symbol with your own Club Logo printed in colour on a 50mm disc.